A planned space with proper treatments will make the most of your audio experience. 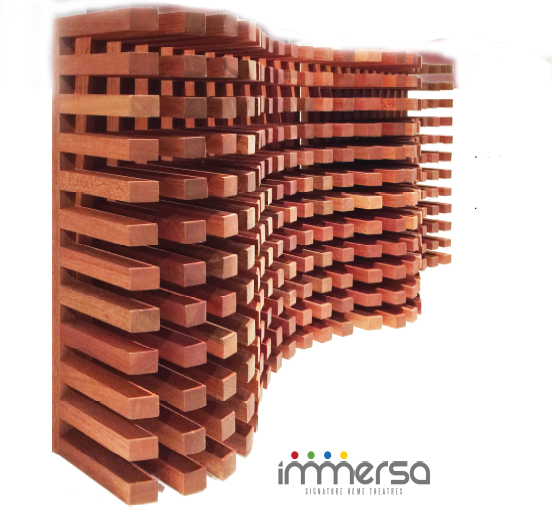 The Immersa Wall Panel seeks to be the first to “fit the form of their purpose.” While flat panels are better than nothing, they by their nature have an ideal frequency of absorption or diffusion. 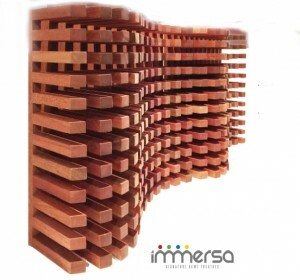 Because of the unique organic geometry” within the Immersa wall there is a balance of acoustical treatment over a larger frequency band. Adding organic forms to treat your theater or listening space make perfect sense, as not a single sound wave is flat. And there is the wonderful esthetic, these panels look great all by themselves and because they have structurally rigid fabric coverings can be affixed.